This is Scraggleton! He is a #maltese mix between 6-10 years old and weighs under 10 pounds. He’s such a little guy! Although he is blind, he doesn’t let that break his spirit! He has adjusted well to his blindness and responds to verbal cues; once he knows his space, he navigates it well. He would do especially in a #home with another dog to act as his guide; he has lived with #dogs and #cats before and gets along with them. He could also live with gentle children that understand and respect his condition. Scraggleton is sweet, loving (he LOVES giving kisses), and happy to sit in your lap for hours. Sadly, he was surrendered because his old owner was seriously ill and could no longer keep him. Will you #adopt him? If you are interested in adopting him, get at me, dawg! Comment or DM me here or tweet me @wheredogsrule. He is a @phillypaws boy in need of a wonderful #home so you can always email them directly at dogs@phillypaws.org to learn more about #Scraggleton and how you can #adoptnotshop him. And remember, #KING is #wheredogsrule. #HappyNewYear from Brutus! He is a #maltese mix that is between 2-4 years old and weighs 9 pounds. This little ragamuffin may be small, but he is #BIG in personality. Mighty Brutus is lively, friendly, and full of #energy! We have such a great time together, and I know he will make a #family very #happy if they #adopt him. He would do well in a #home with children, but the verdict is still out on how he would fare with other #dogs or #cats. Sadly, Brutus was surrendered because his family was moving away and they couldn’t take him with them. Will you give him a #furever #home and reign in the new year together? If you are interested in adopting him, get at me, dawg! Comment or DM me here or tweet me @wheredogsrule. 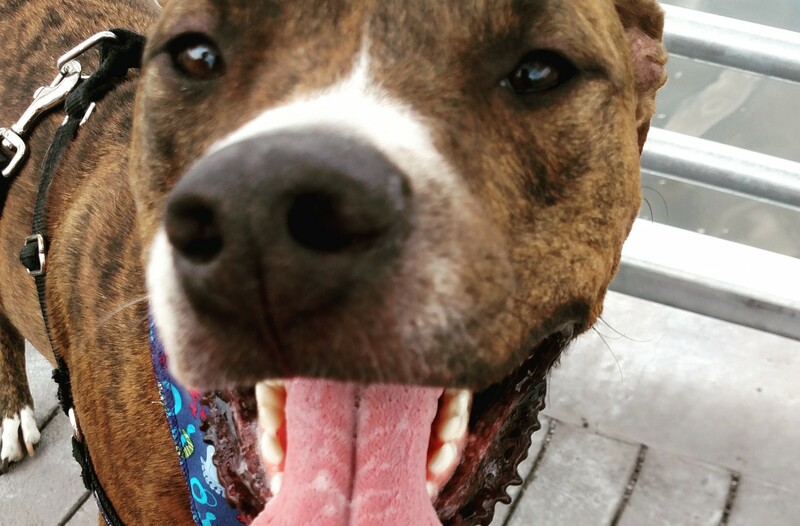 He is a @phillypaws boy in need of a wonderful #home so you can always email them directly at dogs@phillypaws.org to learn more about #Brutus and how you can #adoptnotshop him. And remember, #KING is #wheredogsrule. This is Angel, and she really, truly is an angel. She’s a #Maltese mix and between 6-10 years old. She is happy and bouncy and gets along with everyone! When we’re at a party, she is the one out on the dance floor, mingling with everyone and lighting up the room. She gets along with #dogs, #cats, and children and is easy like Sunday morning on walks with excellent leash manners. (I, on the other hand, pull like a horse.) Angel baby does have a few medical conditions that will need to be addressed: an eye condition that may require drops for the rest of her life, a heart murmur, and elevated liver enzymes that will also require medication. (She is super embarrassed by them, but I always tell her the right family will be able to take care of them. I have bad allergies and ear issues, and Mama loves me anyway, even when I bleed alllllllllll over the house from opening up ear scabs.) Angel was surrendered because her owner could no longer afford to keep a dog and wanted her to have a home that could. If you are interested in adopting her, get at me, dawg! Comment or DM me here or tweet me @wheredogsrule. She is a @phillypaws angel in need of a wonderful #home so you can always email them directly at dogs@phillypaws.org to learn more about #Angel and how you can #ADOPT her. And remember, #KING is #wheredogsrule.